SANTA ANA, CA -- Former Chicago Bulls star Dennis Rodman was charged with hit-and-run Monday in California. Police say Rodman was driving the wrong way on the freeway and caused a crash. Rodman, 55, of Newport Beach, is charged with one misdemeanor count of hit-and-run with property damage, one misdemeanor count of driving a motor vehicle across a dividing section, one misdemeanor count of giving false information to a police officer, and one misdemeanor count of driving a motor vehicle without a valid license. Steve Francis is being held on burglary warrant out of Florida. 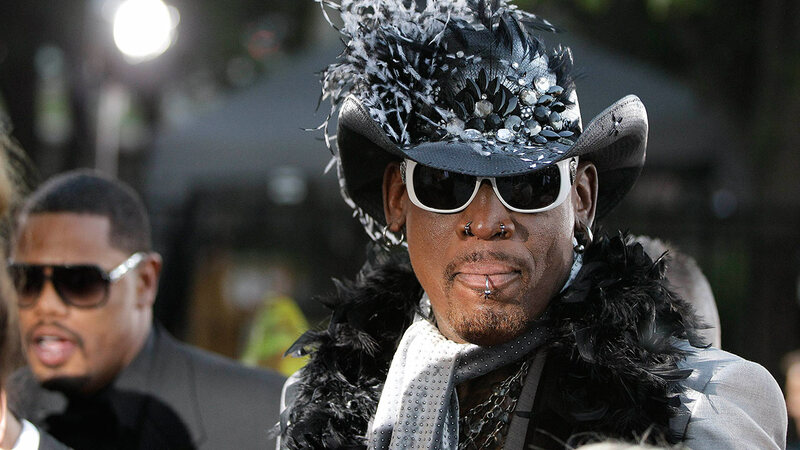 If convicted, Rodman faces a maximum sentence of two years in jail. He is scheduled to be arraigned on Jan. 20, 2017. The charges stem from an incident on July 20, when Rodman is accused of driving an SUV traveling north in the southbound carpool lane on I-5 near Main Street in Santa Ana. Rodman is accused of driving head-on toward a sedan, causing the driver of that car to swerve and crash into a dividing wall to avoid a collision. The victim called 911 and California Highway Patrol officers responded. Rodman is accused of failing to exchange information with the other driver and fleeing the scene before police got there.